Still riding the nostalgia that Star Wars: The Force Awakens and Star Wars Battlefront brought forth last month? Well, you’re in luck, because a trio of Star Wars video game titles from the PlayStation 2 days is now available for your consumption to further keep you floating in the galaxy far, far away. Star Wars: Racer Revenge, Star Wars: Jedi Starfighter, and Star Wars: Bounty Hunter are now all available for individual download at the PlayStation Store. All three were previously bundled with the PlayStation 4 version of Star Wars Battlefront. The games have been rendered to 1080p and will also feature Trophies and other current PlayStation perks like Shareplay, Remote Play with PlayStation Vita, and activity feeds. Aside from those, no other significant changes were made. So, don’t expect a complete overhaul of the gameplay or the graphics. Each game costs a budget-friendly $10, so if you still have some spare money after watching Star Wars: The Force Awakens for the seventh time in theaters, then by all means grab all three games. Another game bundled with the PlayStation 4 version of Star Wars Battlefront, the classic Super Star Wars, is also available and has been for a while now. 3 Star Wars Games = 3x the Fun! Star Wars: Racer Revenge was originally released for the PlayStation 2 on February 11, 2002 and later for the PlayStation 3 on April 28, 2015. The game features the famous pod racing from Star Wars Episode I: The Phantom Menace and is the sequel to Star Wars Episode I: Racer video game. The game’s story picks up eight years after The Phantom Menace. Star Wars: Jedi Starfighter was originally released for both the PlayStation 2 and the Xbox. It was released in North America on March 10, 2002 for the PlayStation 2 and on May 13, 2002 for the Xbox. It was also released for the PlayStation 3 on May 6, 2015. It is the sequel to Star Wars: Starfighter and features a space simulation action gameplay, with the events in the game taking place before the events of Star Wars Episode II: Attack of the Clones. And lastly, Star Wars: Bounty Hunter was originally released on November 19, 2002 for the GameCube and PlayStation 2. 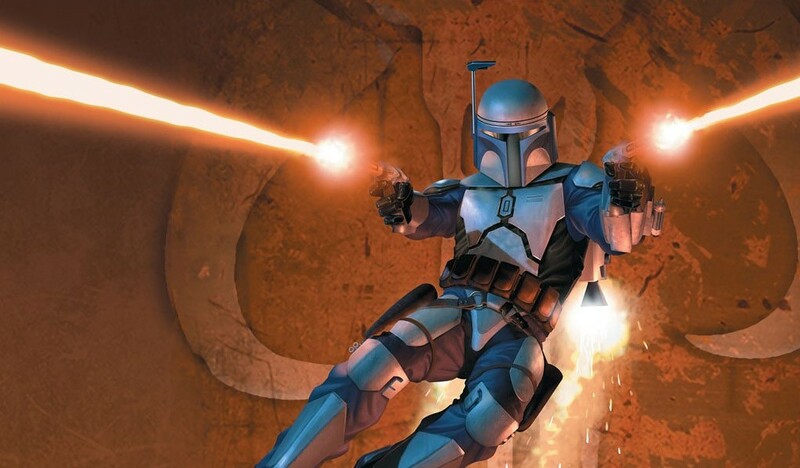 In the game, players take control of Jango Fett, Boba Fett’s “father”, as he hunts down a Dark Jedi. The game is an action game presented in third-person and also takes place before Attack of the Clones.